WHAT IS IT LIKE BEING FRIENDS? 1 WHAT IS IT LIKE BEING FRIENDS? 2 WHAT WAS FRIENDSHIP IN THE PAST? 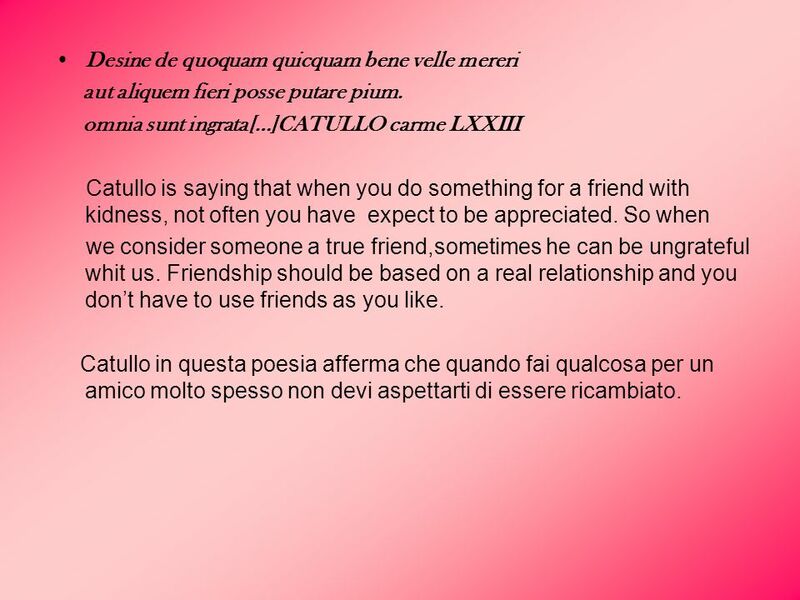 From Catullo’s carmina we can understand that friendship was very important also in the past: Leggendo le poesie di Catullo possiamo capire che l’amicizia era molto importante anche nel passato. Verani,omnibus e meis amicis antistans mihi millibus trecentis, venistine domum ad tuos penates fratresque unanimos anumque matrem? Venisti.O mihi nuntii beati[…] CATULLO carme IX Catullo is expressing his happiness because he has seen his friend after a long time. Catullo sta esprimendo la sua felicità dopo aver incontrato un amico dopo molto tempo. paucis,si tibi di favent,diebus, si tecum attuleris bonam atque magnam cenam[…]nam tui Catulli plenus sacculus est aranearum. Sed contra accipies meros amores seu quid suavius elegantiusve est.[... ]CATULLO carme XIII Catullo invited a friend for dinner but he was without money and he asked him to bring a good and great dinner.In return his friend will receive signs of sincere affection or something that is more sweet or elegant.So he is saying that friendship is more important than richness and material things. 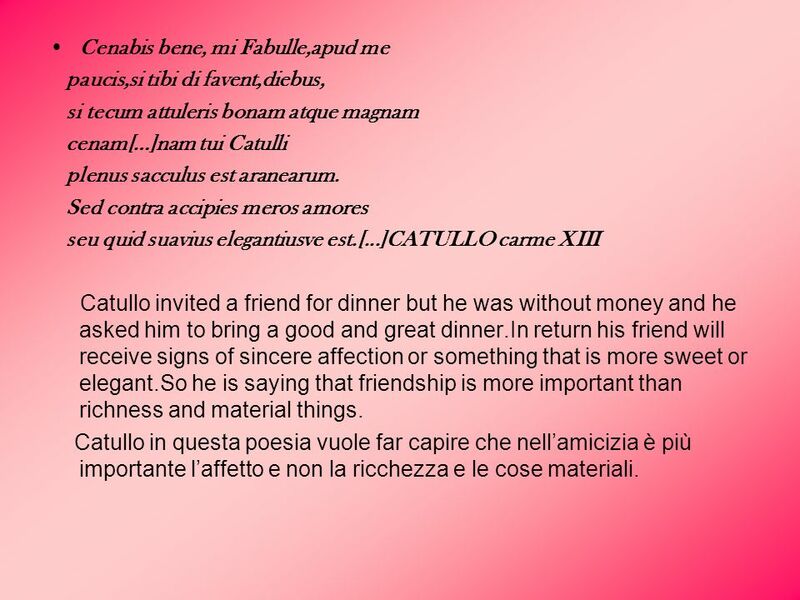 Catullo in questa poesia vuole far capire che nell’amicizia è più importante l’affetto e non la ricchezza e le cose materiali. aut aliquem fieri posse putare pium. omnia sunt ingrata[…]CATULLO carme LXXIII Catullo is saying that when you do something for a friend with kidness, not often you have expect to be appreciated. So when we consider someone a true friend,sometimes he can be ungrateful whit us. Friendship should be based on a real relationship and you don’t have to use friends as you like. Catullo in questa poesia afferma che quando fai qualcosa per un amico molto spesso non devi aspettarti di essere ricambiato. 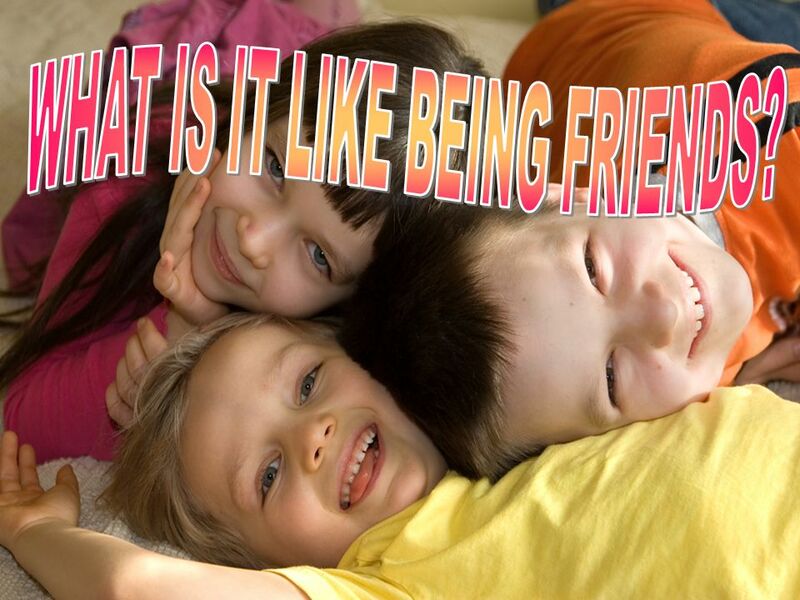 5 WHAT IS FRIENDSHIP IN OUR DAYS? ENGLISH Keep smilin', keep shinin', Knowing you can always count on me For sure, that's what friends are for In good times and bad times I'll be on your side forever more That's what friends are for. 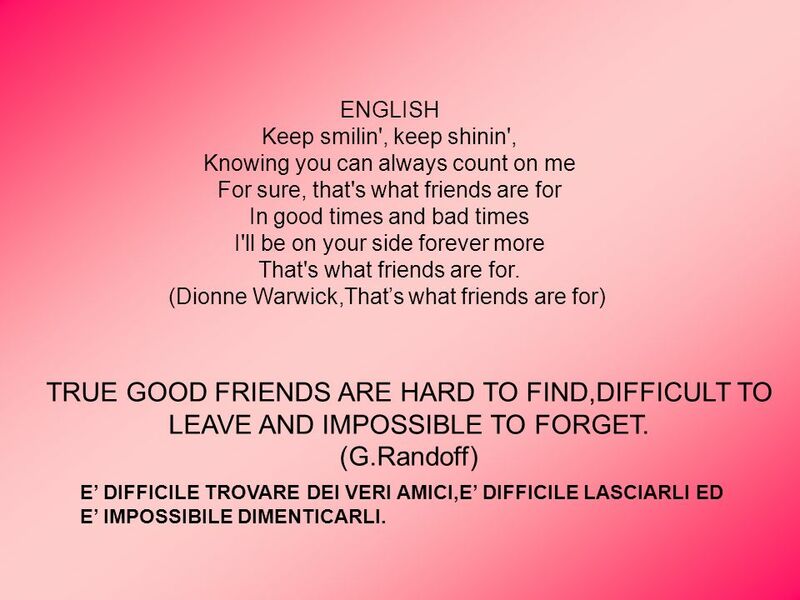 (Dionne Warwick,That’s what friends are for) TRUE GOOD FRIENDS ARE HARD TO FIND,DIFFICULT TO LEAVE AND IMPOSSIBLE TO FORGET. (G.Randoff) E’ DIFFICILE TROVARE DEI VERI AMICI,E’ DIFFICILE LASCIARLI ED E’ IMPOSSIBILE DIMENTICARLI. 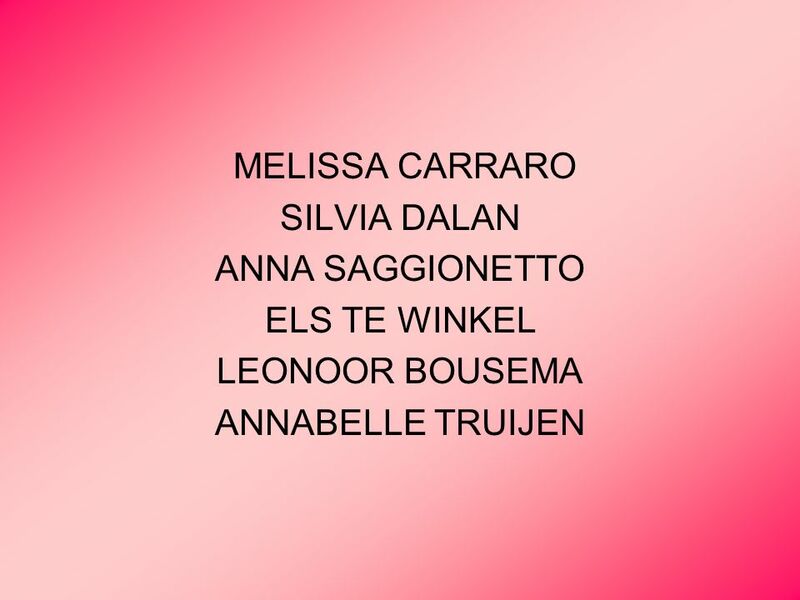 8 IS ANCIENT POETRY STILL LIVING TODAY? 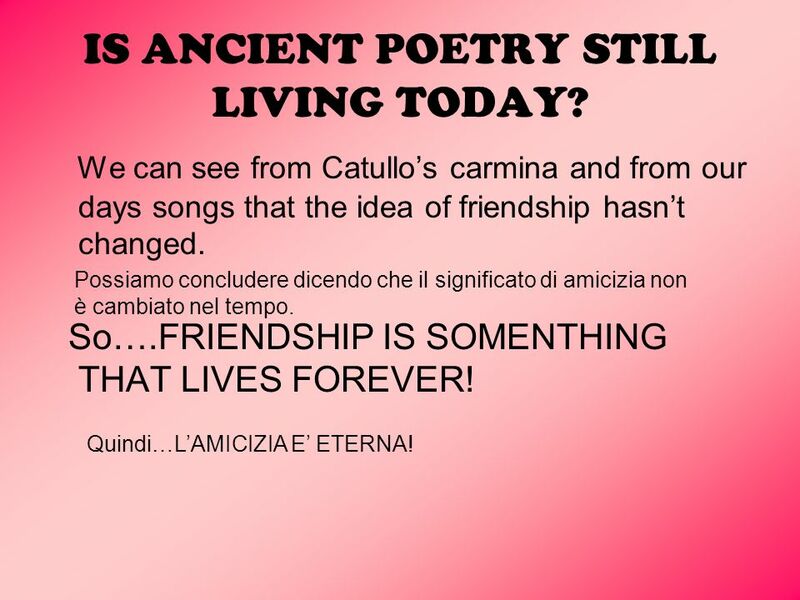 We can see from Catullo’s carmina and from our days songs that the idea of friendship hasn’t changed. 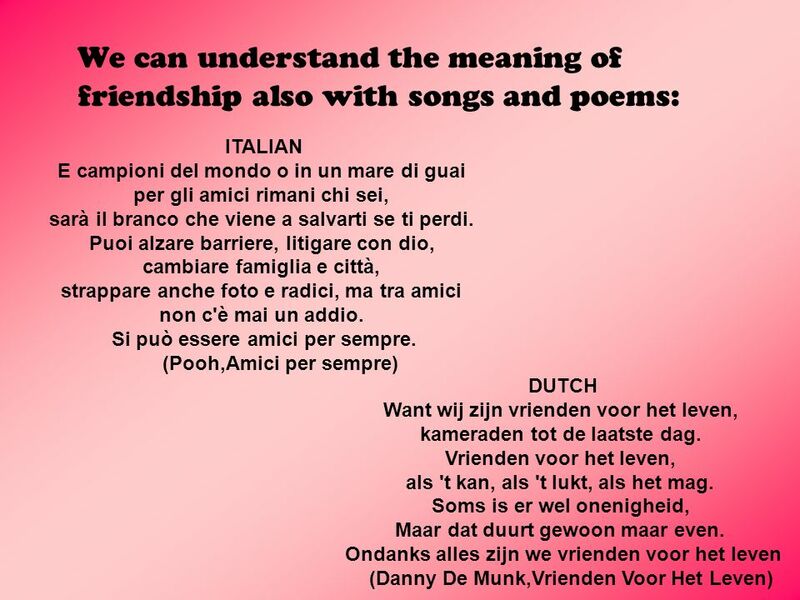 So….FRIENDSHIP IS SOMENTHING THAT LIVES FOREVER! Possiamo concludere dicendo che il significato di amicizia non è cambiato nel tempo. Quindi…L’AMICIZIA E’ ETERNA! 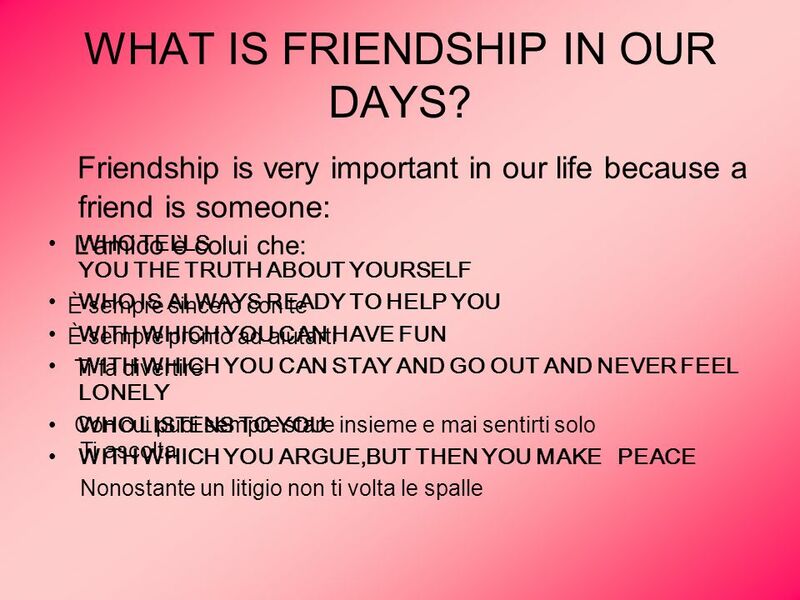 Scaricare ppt "WHAT IS IT LIKE BEING FRIENDS?"